MOSCOW – A firefight in which Syrian government forces and their Russian military advisers have died militant Islamists has killed at least four Russians and wounded several, said the Moscow Defense Ministry on Sunday. 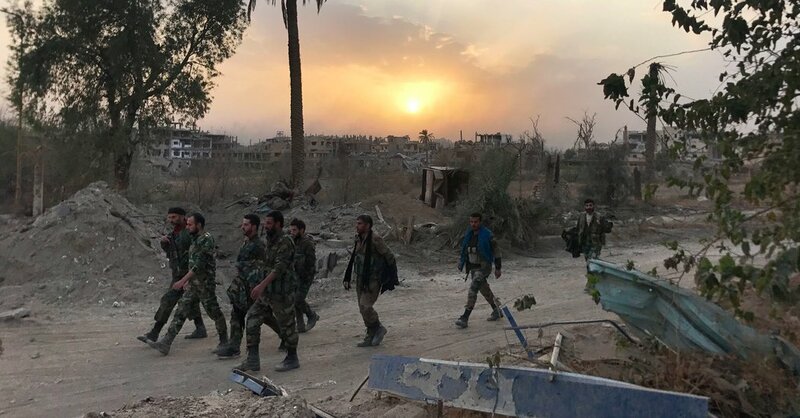 The firefight took place in the Deir al -Zor governorate, an oil-rich area in eastern Syria, after several mobile units of the Islamic State attacked a Syrian army artillery battery, the Russian news agency Interfax quoted the ministry in a statement. The fighting lasted about an hour, leading to the death of 43 Islamic state warriors and the destruction of six off-road vehicles, the report said. Two Russians who helped steer Syrian artillery fire were killed during the fighting, the report said, and two others died later as a result of injuries sustained during the battle. 5 men on behalf of the Syrian government fought, including an indefinite number of Russians. The Syrian Observatory for Human Rights, a group based in the United Kingdom that oversees the war through local contacts, has a Russian death toll of nine Clock exceeded. The organization said two clashes in the region have left 76 dead on the Syrian government side, including non-Syrians, over the past five days. The Islamic State occupied large parts of eastern Syria, including much of the city of Deir al-Zour, the capital of the province, and the city of Raqqa, which considered the jihad group its capital. However, the militant group was expelled from the main urban centers. Nonetheless, the region remains a patchwork of forces controlling various parts of the territory, leading to frequent clashes and fears of a larger conflagration. One of the biggest clashes in February were Syrian Army soldiers and Russian mercenaries trying to conquer a gas factory controlled mainly by Kurdish troops and their American military advisors. The ensuing battle left dozens of Russians. In September 2015, President Vladimir V. Putin sent the Russian military to Syria, which he described as a fight against the Islamic State in his own country. Despite various statements by Putin's government suggesting that the Russian military has completed its role in the region, it has become a major support to the government of President Bashar al-Assad of Syria.